These remarkable volcanic islands are unique in the world for the richness and variety of their wildlife. Hugely influential to Charles Darwin’s theory of evolution, a visit to the Galapagos is a once-in-a-lifetime experience of nature at work. Formed by a combination of volcanic activity and uplift in the last 15 million years, the Galapagos were first used by pirates and buccaneers as a hideaway, and have only had permanent inhabitants since the 19th century due to the harsh conditions and lack of easily-obtained water. Whether you stay on board a comfortable boat or opt for an adventurous safari you’ll see some of the most exciting wildlife on the planet, which due to the relative lack of predators shows no fear and is easily approached by visitors. Several species are unique to the islands, including giant tortoises, fur seals, marine iguanas, flightless cormorants, Galapagos penguins (the only penguins to live on the equator) and vampire finches. The islands’ marine life is breathtaking. There are some excellent snorkelling sites where you can swim with playful sea lions and see dolphins, penguins, rays, sea turtles, and even whale sharks (the world’s largest fish) in their natural element. With few natural predators, Galapagos wildlife are easily approached by visitors. Some species are unique to the islands, including giant tortoises. 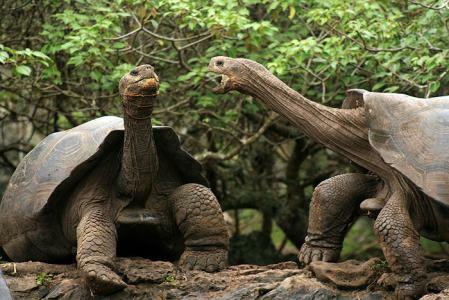 Many have heard of (the now late) Lonesome George but there are other species and various breeding programs in place. 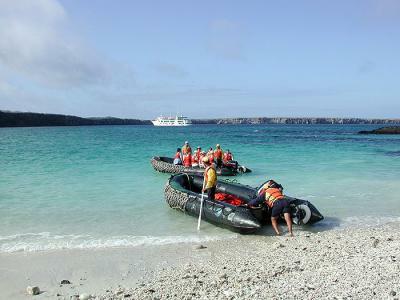 Arguably the best way to visit the Galapagos Islands is to take a cruise. There are many different boats sailing around the enchanted islands from yachts to catamarans to cruise ships with guided visits to various islands made by panga boats. We had a most fantastic time in Peru and the Galapagos. It was a pretty full itinerary and we felt that we never stopped running, but we enjoyed every single minute of it. Both the Galapagos Islands and Inca Peru blew our minds, but in different ways. If I had to choose three personal highlights, they would be witnessing Waved Albatrosses perform their mating ritual and tend their young at a distance of just a few paces, our first sight of Machu Picchu, and learning about life on the reed islands of Lake Titicaca. All the staff and guides in Peru were excellent - very knowledgable, we felt that we were learning all the time and extremely patient. Having them to show us around one a one-to-one basis helped us get more of a flavour of what we were seeing than being in a large group. The stand-out person was our young guide on the Beluga yacht in the Galapagos. He was an amazing guide, filled with knowledge and kindness - an absolute star. 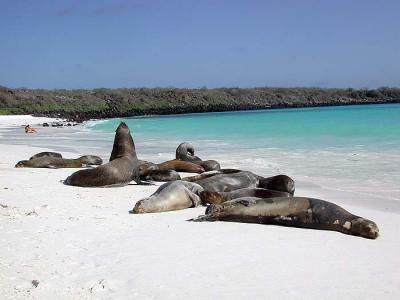 The Galapagos can be visited year round as an equatorial climate is moderated by the cold Humboldt current. The warmest time is January to May (when the water is also at its warmest), while July to September is windiest, with choppy seas. During the garua season (July to November) there is often mist or haze in the mornings. No inoculations are mandatory although you should be up-to-date on tetanus, typhoid and polio. Given the number of visitors from around the world, meals on board Galapagos boats are very international in flavour with a wide choice of menu. Food on the islands is much more simple, due to the logistics and cost of produce being brought in from the mainland.